Born in Omsk, 1 September (although this date was later disputed by the poet's son) to a high-ranking administrative officer. Father settles his family permanently in St. Petersburg after having been transferred to Petersburg soon after Annensky's birth. The poet's happy early childhood, (he wrote his first poems when he was small for his father) is interrupted by the sudden death of his parents. He moves in with the family of his eldest brother, Nikolay Fedorovich. Attends various Petersburg secondary schools. His early education is marked both by obvious brilliance and interruptions caused by his poor physical condition (he suffered from a chronic heart ailment) and his family's poverty. Though both his brother, publisher of the influential journal Russian Wealth, and sister-in-law, Aleksandra Nikitchna (a popular writer of children's books), are both relatively successful, they have trouble making ends meet and are forced to withdraw Innokentii Fedorovich from schools. His brother, who disapproved of Russian public education to begin with, taught him at home in periods when Innokentii was not enrolled. Enrolls in St. Petersburg University and studies comparative philology, with concentrations in the history of the Russian language, classics, and ancient literature. Graduates from St. Petersburg University with honors and is appointed to a position teaching secondary school. Marries Nadezhda Valentinovna Khmara-Barshchevskaia, a woman several years older than the poet and already a widow and the mother of two sons. The following year, 1780, Nadezhda Valentinovna gives birth to Annenskii's only son, Valentin, who would later publish poetry and a memoir of his father under the pseudonym V. Kirich. For the next ten years, Annensky remains in the capital, teaching and tutoring mostly for private students and only occasionally finding time to write, and then only writing academic articles and reviews for smaller journals and academic collections. Hired as director of the P. Galagan College in Kiev. There Annenskii attempts to institute his innovative ideas about pedagogy in a series of reforms focused on the teaching of languages and literature. Oddly reminiscent of John Dewey's nearly simultaneous work at the Lab School in Chicago, Annensky stresses the importance of allowing the students to interact both creatively and practically with the subject matter, whether it is Pushkin's lyrics or Latin verb conjugations, and specifically attacks and attempts to eradicate the method of teaching and learning by rote. During this period, Annensky begins translating Euripides and writes several articles on Russian literature. Both because of the school administration's antipathy to Annensky's methods and his antipathy to their increasingly rigid Ukrainian nationalism, the poet leaves Kiev for Petersburg, where he is appointed head of the 8th Gymnasium where the administration welcomes his pedagogical ideas. Begins translating the plays of Euripides. Publishes the first of his Euripides translations, Rhesus, and simultaneous stages it at the gymnasium to overwhelming success. Promoted to the directorship of the celebrated Gymnasium at Tsarskoe Selo. Over the course of his nine-year tenure at the school, Annensky's teaching influences many children of influential Petersburg families and several future poets and writers, particularly Anna Akhmatova (then Gorenko) and Nikolay Gumilev. The position allows Annensky to focus more on his own writing and research, and subsequently leads to a flowering in his academic and the beginning of his creative output. Writes and publishes лЕКЮМХООЮ-тХКНЯНТ (Melanippa the Philosopher) and жЮПЭ хКЙЯХНМ (based on a theme upon which Aeschylus, Sophocles and Euripides all wrote plays that do not survive), both tragedies in verse based on Greek mythology. Publishes рХУХЕ ОЕЯМХ (Quiet Songs), which includes his first published poems and translations of Horace, Longfellow, and several modern French poets l (including Baudelaire, Verlaine, Prudhomme, Rimbaud, and Mallarme). The volume went almost entirely unnoticed by critics most likely for the manner in which Annensky presented it to the public, or, more precisely, the manner in which he hid his authorship of the book from the public. Sensitive to officialdom's antipathy to Symbolist poetry, Annensky published under a pseudonym up until his leaving Tsarskoe Selo in 1906. He did this in part so as not to lose his job, but the name under which he published , мХЙ. р-o (literally "Nobody" in Russian), also demonstrates one of the primary aspects of Annensky's poetry-intertextuality. Readers familiar with Homer's Odyssey recognize that "Nobody" is the name Odysseus used with the cyclops Polyphemus. This sort of allusion (both for its intertextuality and for its layering of meaning) is typical of Annensky's method of engaging his reader and was not entirely typical of the Symbolists up that point. The association of Annensky with Symbolism, in fact, is unfortunate because Annensky himself disliked the mystical pretensions of poets like Blok (who equally disliked Annensky's poetry for its "lack of taste" and inconsistency) and Bely. Annensky was much more interested in, and his poetry had much more in common with, the Acmeist poets who rose from the wake of Symbolism towards the end of his life. 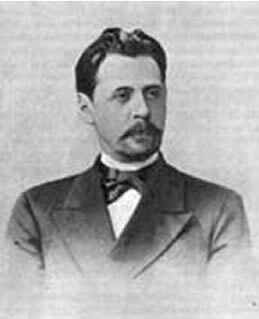 Dismissed from the directorship of Tsarskoe Selo (in part because of his indifference to the coup of 1905 and his refusal to seriously deal with students sympathetic to the revolutionaries and in part because he had expressed the desire to retire and devote more time to his writing and research) and is appointed District Educational Inspector. Publishes the first йМХЦЮ НРПЮФЕМХИ (Book of Reflections), a collection of essays on contemporary literature which incorporate both academic analyses of, and lyric digressions inspired by, works by Gogol', Turgenev, Dostoyevskii, and Bal'mot, among others. Annensky is again disappointed by the relative silence the book receives both from the official press and the literary underground. Begins working relationship with the publisher of Apollon - an influential literary journal - Sergey Makovsky. Finalizes arrangements for Makovsky to publish a collection of poems to be entitled The Cypress Chest (йХОЮПХЯНБШИ КЮПЕЖ). Publishes The Second Book of Reflections (бРНПЮЪ ЙМХЦЮ НРПЮФЕМХИ), this time with essays on Bely, Judaism, Shakespeare, and Ibsen and receives similar critical indifference. Submits a final request for retirement on grounds of failing health (his heart condition had begun to worsen significantly a few years earlier) but was struck dead by heart failure on the steps of the station at Tsarskoe Selo on the very day, December 13, that the request was granted. The following year The Cypress Chest is published in Moscow to great acclaim. Fueled certainly by the dramatic story of his death but equally by the remarkable quality of the poems themselves, the volume is considered a benchmark in the Silver Age. Almost literally ending the reign of one generation while containing the spark of the next, the poems in The Cypress Chest represent Annensky's perfection of the (French) Symbolist aesthetic and his anticipation of Acemeism's precision of language and Futurism's experimentation.